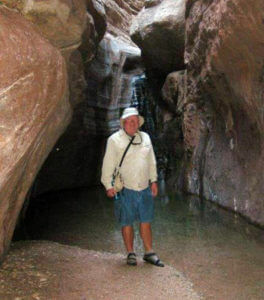 Joe at Saddle Canyon on his 8 Day trip. 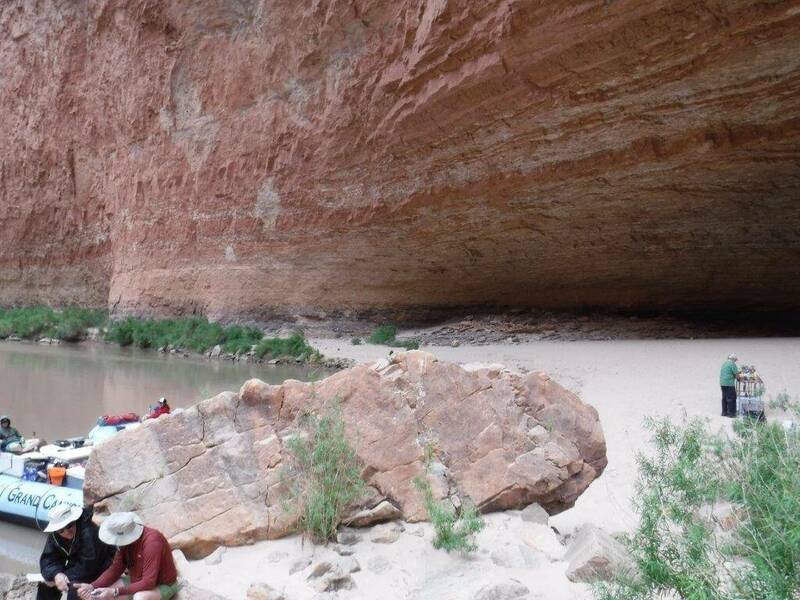 I would like to share Tanya and my experiences and impressions of our recent 8 Day Motor rafting trip down 225 miles of the Grand Canyon with Grand Canyon Whitewater (GCW) rafting company. 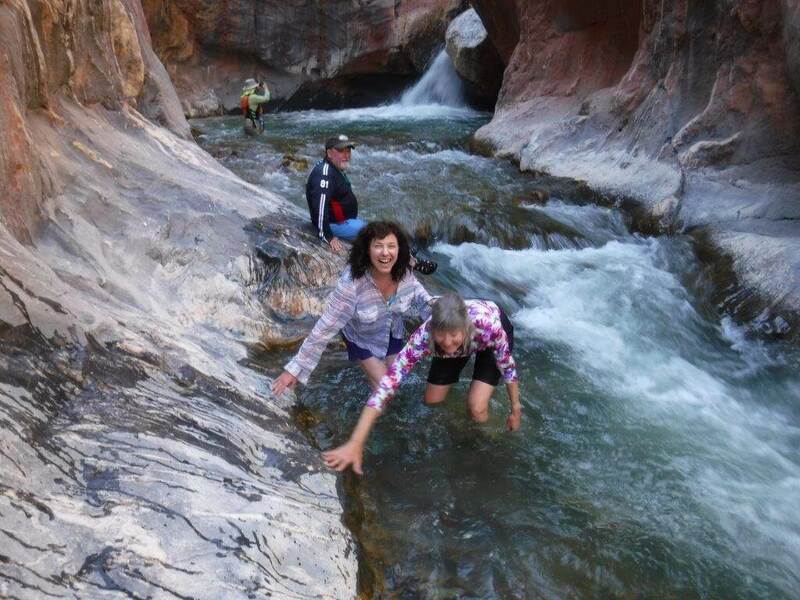 We are both over 70 so we approached this adventure with some trepidation. But I can say that by the time we finished, those fears were things of the past. From start to finish, the GCW personnel made the trip worry free. From the reservation process through the final unloading on day 8, every step went smoothly. It was almost as if they had done it before. As we had some time in Flagstaff, we went to their office. They were as nice in person as on the phone. Enough good cannot be said about the 2 boatmen, Jason and Brie. They were skillful drivers and full of river stories. They are very much in the mold of their predecessors. They were assisted by Riley and Tristan. Riley did most of the cooking and made a rib eye steak to die for. Everyone wanted to take him home as a cook. Tristan did some of everything. Before we initially boarded the rafts, we were given a safety talk. Portions were repeated, as appropriate, throughout the trip. Every day had new sights and adventures. 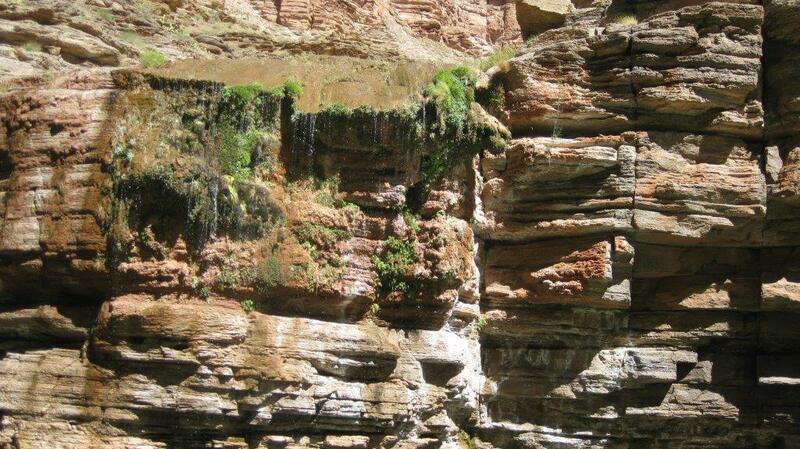 The rock layers were constantly changing as we proceeded down the river. 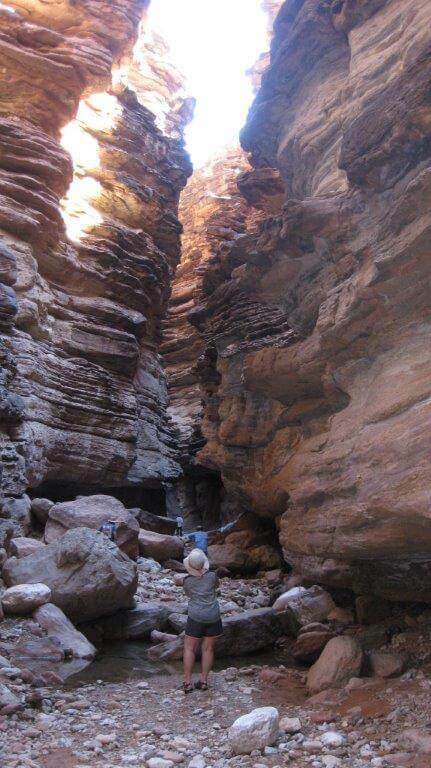 Sometimes the canyon was wide and other times quite narrow. The average speed of the river was 4 mph. Our motor added 4 thus 8 mph was the average speed. 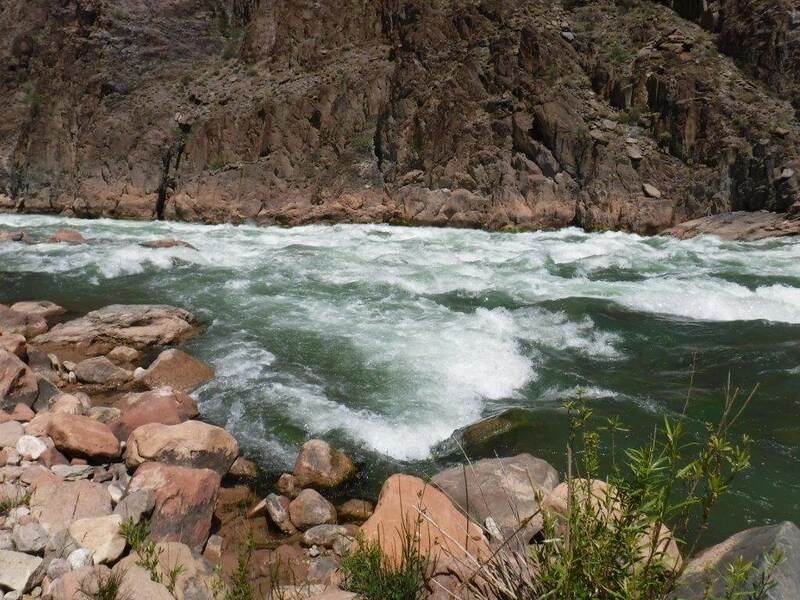 There are approximately 225 named rapids along our trip. Although, they were not spread out at one per mile. Sometimes they came in rapid succession followed by miles of calm water. Perhaps 10 could be considered serious with 4-5 being really serious. Even with the lesser ones, it was possible to get really wet. The front was the wettest and everyone took their turn. During the first days, it was cold up front and we wore full rain gear. Near the end when it was 100 degrees, up front with only a rain jacket and shorts was a sought after place. The large rafts eliminated almost all concern about their flipping, although, in some of the rapids, an individual could certainly get launched into the rapids. Camping was like car camping. We camped at sites along the river. 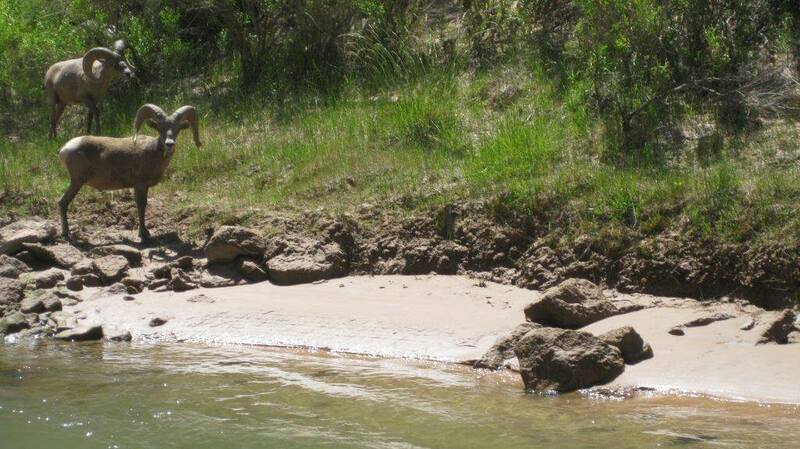 The areas were large and in soft sand. 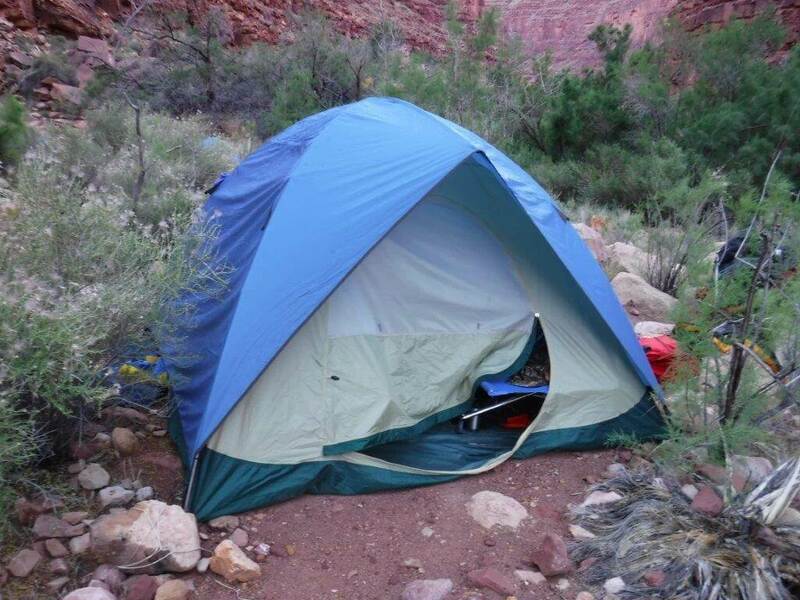 Supplied were large dome tents, cots, sleeping bags, sheets, pillows, and chairs. Many people slept outside under the stars, including Tanya for the first time in her life. There are so many stars and the Milky Way looked as if it had been painted with a giant roller across the sky. A big raft can carry a lot. Vast quantities of food, drinks, snacks and ice appeared as if by magic. Breakfasts were eggs to order, French toast, blueberry pancakes, fresh fruit, yogurt, bacon, and sausage. Lunches were sandwiches with a variety of meats with fresh tomatoes and avocados, fruit, chips and cookies. Dinner was exceptional: main courses included chicken, salmon, pork chops, lasagna, hamburgers and the previously mentioned rib eye steak. There was always a “cocktail” hour with munchies. Alcohol was not provided so everyone brought their own. We brought a box of red wine that tasted better than expected. I am sure the surroundings increased the rating by 10 points. 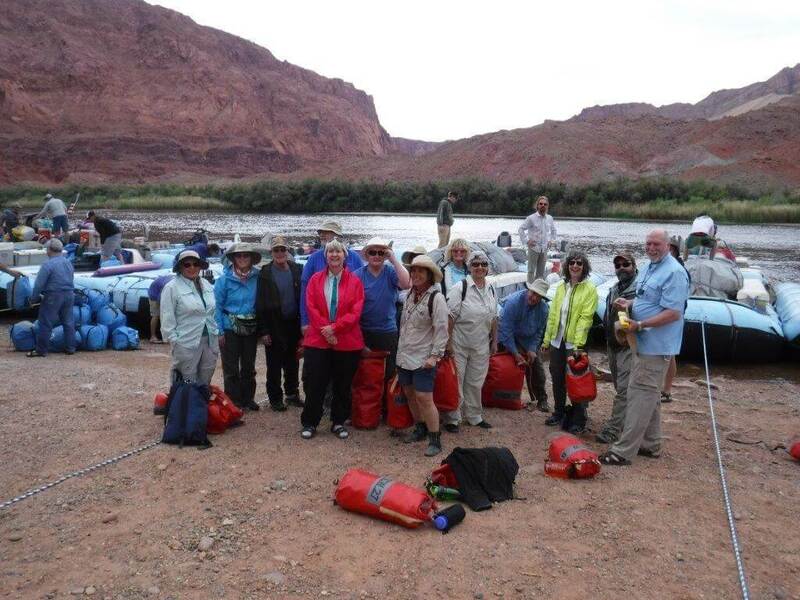 In addition to running rapids, there were 12 side hikes offered throughout the trip. 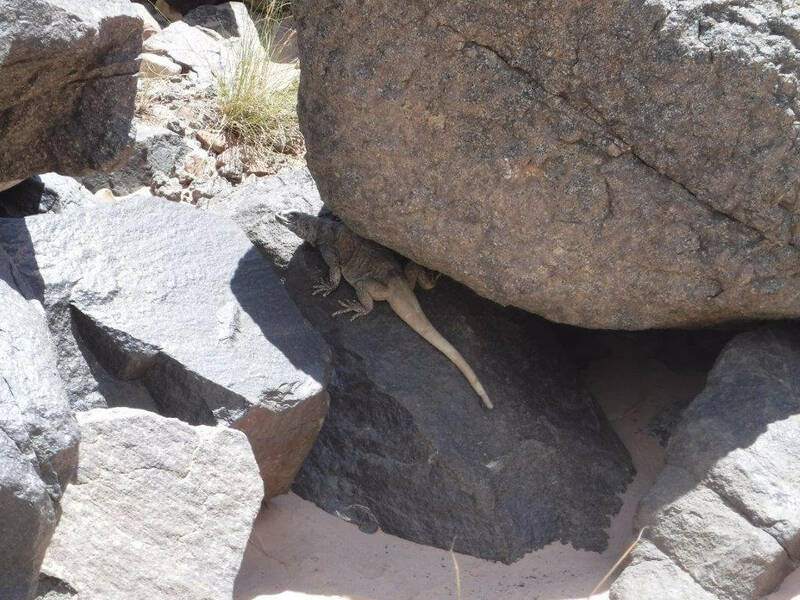 They varied from slot canyons to hilltop ruins. The most liked ones were probably the Little Colorado and Havasu Creek. They are both tributaries to the Colorado. The water is a milky green caused by dissolved carbonate compounds. 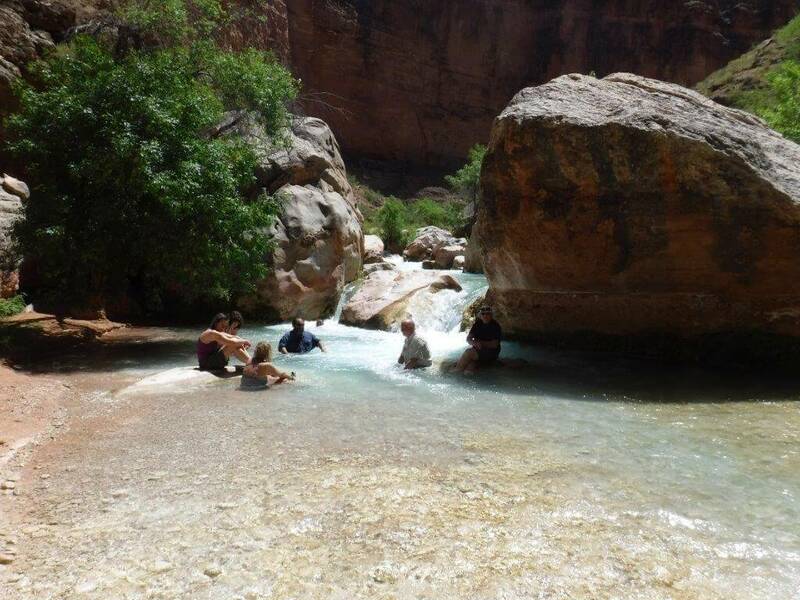 We soaked in Havasu Creek and floated down rapids on the Little Colorado. The recommended clothing list was followed. Did not use the Lifa, but most was spot on. All fit nicely in the duffel bag. Boots went in a separate bag and were always accessible. In conclusion, I would rate the trip as a 10. It has been on my “bucket” list for years. It was not, however, on Tanya’s though she admitted she had a much better time than she expected. Weather – Good, not too hot or cold. If I could give everyone a single piece of advice, it would be wear socks in your river shoes. The fine sand gets under the straps and will rub the skin off. Toward the end, some people were wearing Duck tape across the top of their feet. Also the more traction on the soles of the water shoes, the better. If you've never set up one of these bad boys before, don't worry! The guides will show you how easy it is on the first night.